SEO can be really complicated! How do you start with improving the structure of a site? How do you write amazing and SEO-friendly articles? 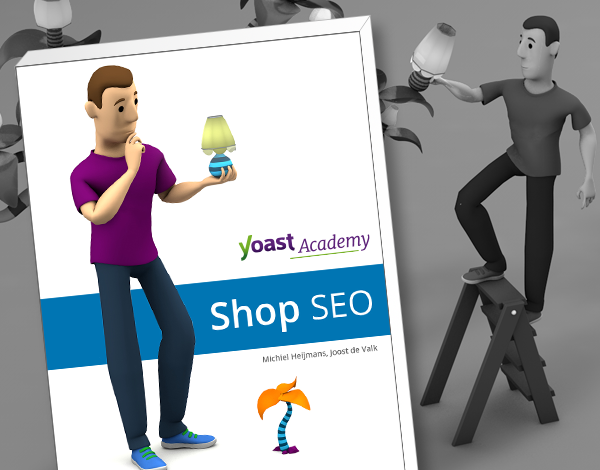 To help all of you with your SEO strategy, I’m writing a series of Ask Yoast case studies. In these case studies, I’ll take a look at a specific site (the owner knows about it of course :-)), and I’ll give some SEO advice. In this second case study: SEO of an online shop! Want Marieke to look at the content of your site? Send an email to ask@yoast.com! Improve the SEO of an online shop! In this case study, the SEO of an online shop is the central topic. 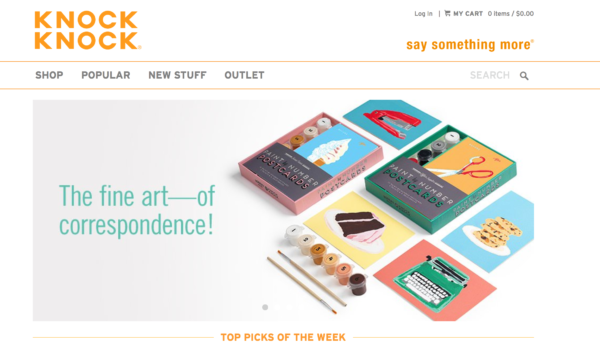 We were given the chance to take a look at the SEO of Knock Knock, independent makers of clever gifts, books, and whatever else they can think up. I want to buy those notebooks! I want to have those pens! Great fill-out books! I love the products Knock Knock offers. It’s original, it’s fun and I really get some sort of brand-feeling if I browse through their website. Fantastic! Technically, Knock Knock seems to be a solid site, which is great. Some general SEO quick wins would be: creating alt tags for images and adding meta descriptions to tag pages and on some category pages. KnockKnock has a lot of potential to become really successful. Maybe they already are! I believe that with certain SEO improvements they could be generating even more traffic than they’re getting right now! “This site screams for a blog! Knock Knock’s products are very original and one-of-a-kind. Writing blog posts about, for instance, how to use these products and why you would need them, won’t be hard at all! Blogging is a great way to promote your stuff and to show to your audience how to use your products. In case of this specific online shop, I’d post lots of photos too. For SEO reasons, starting a blog is very important too. Knock Knock doesn’t show a lot of content on their site. It’s an online shop with quite some products and, therefore, product pages, but the copy on these pages is quite short. That’ll make it hard to rank high in Google. Blogging, or in other words, publishing fresh content on a regular basis, will definitely improve the SEO of this online shop. I would advise Knock Knock to start with some solid keyword research. Maybe they’ve already done some research. Which words do they want to be found for? After that, they should start creating some real quality content. I’d love to read blog posts about the origin, benefits or appliance of their products. They do have nice product reviews written by their audience, perhaps these reviews could serve as a starting point for a blog post. After showing the draft of this post to KnockKnock they got back to me telling that they already have a blog! So I had rework my advice a bit… I started with checking out their blog first, where they write about the origin and creators of the products, the use of the products and more fun stuff. Their blog post are very original and entertaining! They also post quite regularly, a couple of times a month. So now, my main advice is: make your blog more visible on your site! I noticed that we can easily get from your blog to your shop, but the other way around is a lot harder (or perhaps impossible?). I’d suggest to just add the blog in the top navigation of your site. That way, visitors can easily read more about your products, creators and all the nice things you do, apart from creating awesome products! In case you would be starting a blog from scratch that would be quite hard. On the other hand, if you’re starting a blog, you do have the chance to create an ideal structure for it. Think about the topics you’d like to blog about. These could be the same as the product categories of your online shop, but it also could be different categories. Write a few long, really awesome, articles on each of these categories. These articles will be your cornerstone pages. Make sure to write lots of blog posts about similar topics (but all slightly different and more niche/long tail). And link from all of these articles to your most important cornerstone article. If you start your blog from scratch, make sure to structure it in an excellent way! Read more about this in our ultimate guide to site structure. If you have an online shop that’s focused on an awesome niche like Knock Knock, your SEO will benefit most from a solid content strategy. Writing lots of texts, articles, posts will have an effect on your rankings. Besides that, it’ll be a great way of marketing your stuff. Combine your blog with an awesome social media strategy and you’ll increase both your rankings and sales! Out of stock product – what to do with product page?